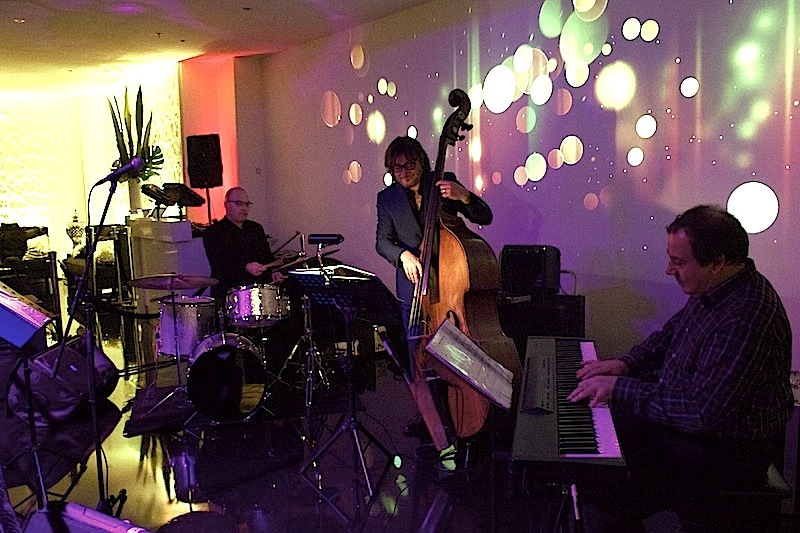 Last Sunday night The Lucy Gale Quartet delivered a stellar night of Jazz to celebrate the recent opening of Aria Bar and Events, Dockland’s newest, state of the art events and live music venue. Lucy Gale known as ‘the voice’ among her peers was supported by the cream of Melbourne’s Jazz fraternity, with Michael Tortoni from Bennett’s Lane, on double bass, the phenomenal Joe Ruberto on piano and Gideon Marcus on drums. 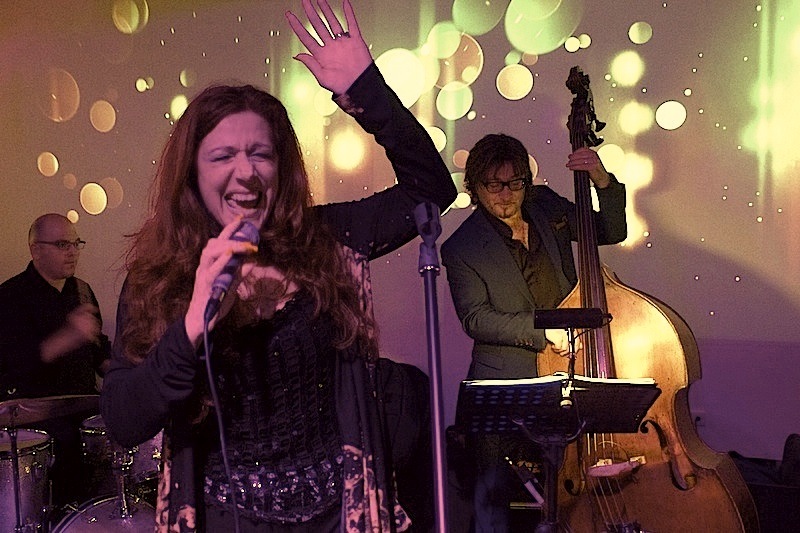 Together they delivered a world class performance in launching their new Sunday night Jazz on the Docks residency. A show not to be missed by enthusiasts. This venue’s conception and evolution is a labour of love by collaborators’ Poppy and Rima Takatainga and their business partner Johnson, all musicians in their own right as well as successful venue operators. With a warm and inviting vibe, visually beautiful interior, great acoustics and a magnificent waterfront view, Aria is a red carpet experience earmarked to be one of Melbourne’s hottest live music venues for discerning over 25’s. An attractive jewel in Docklands, Aria Bar & Events venue is located at 17G-18G, 427 Docklands Drive, Waterfront City with access through Doepel Way. There is ample secure parking just before you hit the red carpet entrance on the waterfront, plus a cab rank and a city bound tram stop meters away from the venue. Lucy Gale with a five octave vocal range is hitting the high notes. This entry was posted in News and Events and tagged aria bar and events, bennett.s land, gideon marcus, joe ruberto, lucy gale, michael tortoni on 12/07/2013 by Kerrie Pacholli. 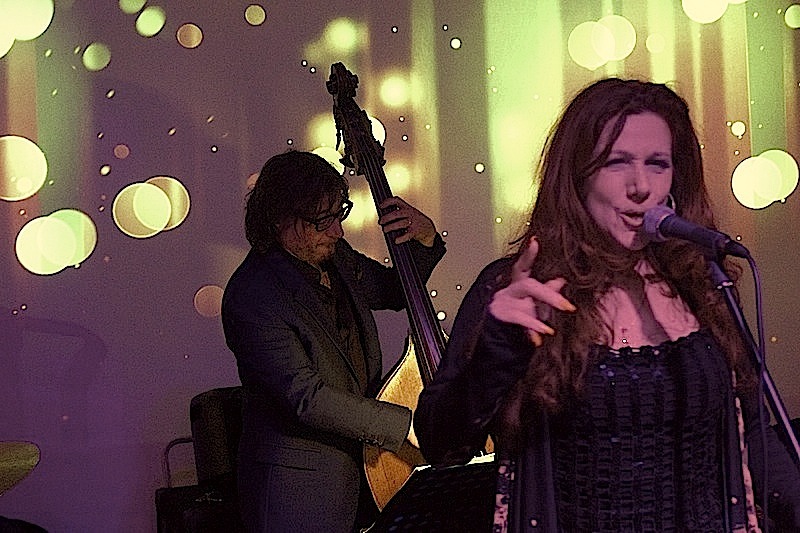 Kia-ora and Hi… I had the pleasure of watching Lucy and her talented band earlier tonight at Aria Bar & Events in Docklands with a good friend of mine and we loved every moment of the show. The highlight of course was Lucy’s amazing sound in her beautiful vocal voice, and the song selections were perfect for a Sunday evening which is a great way to wind down after an active weekend. I look forward to seeing your group more often and I’ll be sure to spread the word of your great work and performances. The band are world class, each individual seemed to love and enjoy what they do and it shows in their performance on each instrument from the Drummer to the Keyboard to the Bass Guitarist great job guys! And Lucy, I loved the Al Jerreau number you sang “We’re in this love together” along with Renee Geyer and Randy Crawford songs as well love love love these tracks and artists just some of the greats that I enjoyed listening too. On a last and final note, I’m so glad that you will all be playing every Sunday evening and will def look at coming down more often to support a great act and chill to the beautiful sound you all share thank you see you real soon.